I am Robin Frazer Clark and am the President of the State Bar of Georgia, which is made up of nearly 44,000 lawyers, including judges, prosecutors, public defenders, private pratitioners and even Legislators. On behalf of the State Bar of Georgia, let me first thank you as members of the Georgia General Assembly for your dedication to the citizens of Georgia and your personal sacrifice I know each of you make to be here and make a difference. We appreciate you. Eight years ago, the Juvenile Law Committee of the Young Lawyers Division undertook an ambitious project: to create a model juvenile code that could provide a framework, based in proven best practices and scientific research, for revising Georgia’s juvenile code. In 2004 the Georgia Bar Foundation funded the project for the YLD to create a model juvenile code. The following year, members of the General Assembly passed a resolution calling for an overhaul of the current juvenile code. 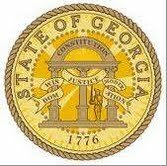 In 2006, JUSTGeorgia, a statewide juvenile justice coalition, was formed for the purpose of advocating for changes to the state’s Juvenile Code and the underlying social service systems to better serve Georgia’s children and promote safer communities. The coalition’s founding partners are Georgia Appleseed, the Barton Child Law and Policy Clinic of the Emory University School of Law and Voices for Georgia’s Children. Two core needs were identified by JUSTGeorgia: to pass an updated Juvenile Code that reflects the best practices and the latest research and scientific findings in the child and adolescent brain development field and to cause policy changes in the social services system that can prevent detention and sustain healthy behaviors outside the juvenile justice system. JUSTGeorgia began to collect stakeholder feedback in 2007 through a series of town hall meetings around the state and hundreds of personal interviews, the goal being to collect substantive input on how changes to the Juvenile Code could best meet Georgia’s needs. A year later, in 2008, the YLD released its Proposed Model Code. “JUSTGeorgia” began an intensive initiative to gather stakeholder feedback on our work. The Juvenile Law Committee then assisted JUSTGeorgia in incorporating this feedback into the PMC to create a legislative package that would comprehensively reform Georgia’s juvenile code. •	From March – July 2008, JUSTGeorgia held a formal comment period on the PMC, and dozens of individuals and organizations submitted written comments. •	In May 2008, the Juvenile Law Committee hosted a CLE in partnership with ICLE, in which attendees learned about the content of the PMC and participated in discussion groups where they shared their reactions. •	The PMC reporters and the JUSTGeorgia partners have also made dozens of presentations to stakeholder groups including the Prosecuting Attorneys’ Council, the Council of Juvenile Court Judges, and many others. •	At the request of Senator Hamrick, the Carl Vinson Institute of Government at the University of Georgia conducted a series of focus groups with key stakeholder groups including the Department of Human Resources, the Department of Juvenile Justice, the Prosecuting Attorney’s Council, the Council of Juvenile Court Judges, and others. •	JUSTGeorgia held facilitated discussions with key stakeholder groups for issues on which comments from stakeholder groups were in direct conflict with each other in an attempt to reach compromise. These issues included representation of children, designated felonies, and automatic transfer of children to adult court. The Juvenile Law Committee worked with the JUSTGeorgia partners to incorporate all of this stakeholder feedback into the PMC to create a legislative package that reflects both national best practices and the specific needs of Georgia’s children and the professionals who serve them. The initiative first appeared before lawmakers in 2009 as Senate Bill 292. The legislation failed to get out of committee during the 2009-10 legislative session, but the Senate Judiciary Committee held about 10 hearings on the proposal, which resulted in valuable public comment and discussion for future consideration and drafting of new legislation. As a result, the proposed Juvenile Code rewrite came very close to becoming law during the 2012 legislative session. House Bill 641, the Child Protection and Public Safety Act, was introduced by House Judiciary Committee Chairman Wendell Willard and handled in the Senate by then-Judiciary Committee Chairman (and now Superior Court Judge) Bill Hamrick. HB 641 was approved in the House by a vote of 172-0 on Feb. 29, 2012. It also received unanimous approval by the Senate Judiciary Committee on March 22, 2012, but failed to reach the full Senate for a vote when it stalled in the Senate Rules Committee amid concerns about funding issues. The Governor’s Criminal Justice Reform Council, which was formed in 2011 and recommended the changes to the adult prison system enacted earlier this year, focused this past year on reforms to Georgia’s juvenile law, which Judge Michael Boggs will describe more fully to you. HB 242 now before this committee includes this proposed comprehensive update of the state’s 42-year-old Juvenile Justice Code, which includes all of Title 15 Chapter 11 of the Official Code of Georgia. The State Bar of Georgia has conducted numerous open discussions and informational sessions to vet the Proposed Model Code thoroughly. It is the State Bar’s members who practice juvenile law and represent juveniles, who prosecute juvenile offenders, who are the judges of juvenile courts, who are the court-appointed guardians of juveniles, who will use this new Juvenile Code on a daily basis. These lawyers have vetted HB 242 fully and completely and all who have wished to weigh in have done so or had ample opportunity to do so. Not everyone got everything they wanted in the new proposed model code, which probably means it is a fair and balanced bill. HB 242 represents the best of all input from all stakeholders who use the Juvenile Code on a daily basis and who are, therefore, in the best position to know what the new Code should include. It has been vetted and revetted, iterated and reiterated and cussed and discussed. The State of Georgia needs a new Juvenile Code and HB 242 now before you is a perfect blend of the best of all perspectives. As Scripture says, “it’s all over but the shoutin’.” It just now needs to be passed. On behalf of the 44,000 members of the State Bar of Georgia, we urge favorable consideration by this Committee of HB 242. Thank you again for your efforts to promote the cause of justice, uphold the rule of law and protect the rights of all citizens.